Spring is the Time for Hustle. Spring is in full effect. There is so much that needs to be done in a short amount of time. It’s hard to cope sometimes. And on top of everything weather has not given me the opportunity to get some of the work done. It has rained so much this month. Nearly everyday it has rained at least part of the day. My yard started to look like a jungle. I managed to take care of the front of my property, but the back land is starting to look like a jungle. I must get the under control. I need to build a potting bench, so I can pot up trees that I will root from cuttings. In just a few months that project must be complete. I have to plant a dozen or so pepper plants that I have on flats that are now ready to go into the ground. So much work, so little time. Well I just had to vent a little. Every day I’m hustling. Normally, we gardeners tend to make plans to begin planting our gardens during early spring. We select vegetables such as garden peas, lettuce, mustard, radishes, onions, and so on. If these aren’t planted as early as weather permits, there is danger of quality slipping away as warm weather comes on. Many leafy plants will bolt. Root crops, like radishes, will not only go to flower, but roots will become pithy or spongy and not fit for anything but the composter. In defense of gardeners, there are times when fate seems to be against us. An unusually wet spring season may delay sowing seeds or putting out transplants. Most early-producing plants need well-drained loose soil and won’t tolerate soggy conditions. There are other reasons not connected with the weather that may prevent a gardener from getting an early start or even a later start as the year rolls along. Having to “put things off” can be due to illness in the family, school activities, or even incarceration. Whatever the cause for delay, don’t despair if the right time for actual planting passes you by. You can put your time and energy into other facets of gardening that are important, too. Let’s start with the end of the growing season. If you have a composter, this is a good time to salvage any spent plants as long as they have shown no signs of disease. 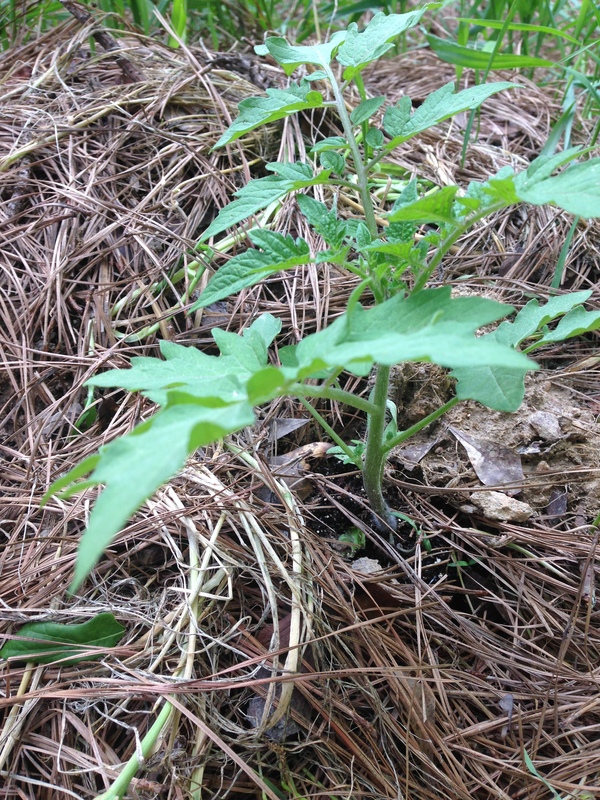 Adding diseased plants to a compost heap is asking for future trouble. 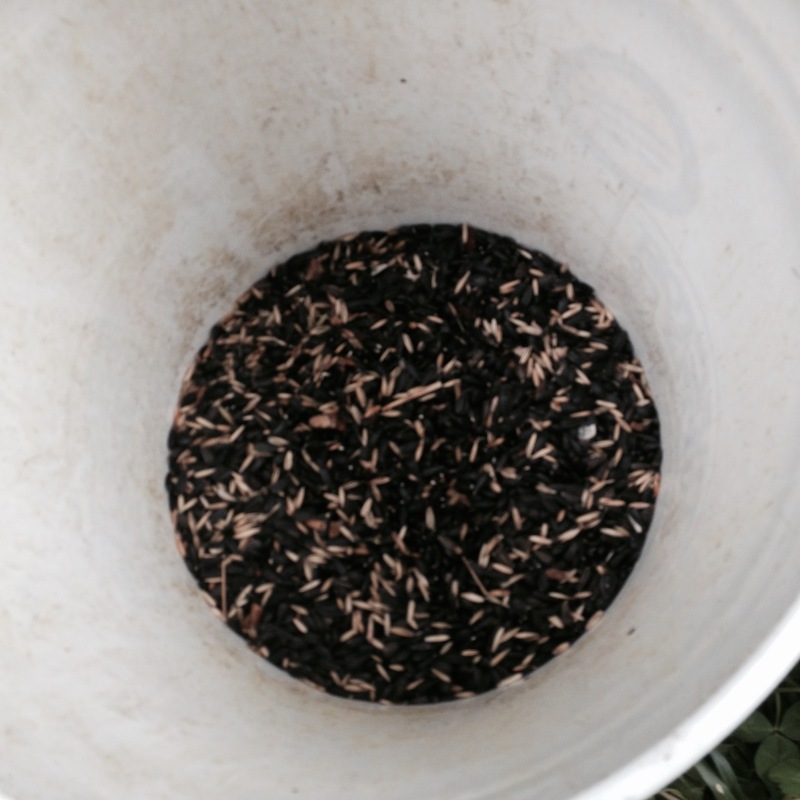 Likewise when grass clippings or other plants loaded with seeds are dumped into the composter. The seeds will hang in there until the compost is used on the garden and then they will spring to life and become an extensive weeding problem. Autumn is a good time to gather fallen leaves for composting. If possible, mulch the leaves into smaller pieces before adding to the compost heap. (A lawn mower with a bagger attachment works really well.) Decomposition will occur quicker if organic matter can be reduced to small pieces. Beware of black walnut leaves as they have a toxic effect on certain plants; it’s best to avoid using them. Many of us like to spread organic matter— pine needles, leaves, etc.—directly on rows or beds in the fall to keep winter downpours from packing the dirt. It’s great to be able to pull back the layer of mulch in the spring and find nice loose soil ready for planting. Heavy soils such as those with a large amount of clay in them will certainly benefit from not only having leaves dug into them, but also having several inches of leaves and yard rakings piled on top of the soil. During winter, organic matter will break down and can be easily tilled into the soil ahead of planting time, thus improving the soil’s texture as well as its nutritional value. If you live south of the Mason-Dixon Line, there is a good possibility that you can plant some garlic cloves in the fall. Select a spot protected from harsh winter conditions, maybe on the south side of a solid board fence or a building. Usually, garlic will thrive during moderately cold weather, producing plenty of green blades to chop and use as seasoning in soups, stews, and other hot dishes. The flavor of garlic gives food a special lift that can only be called larripin’. Do you have some Jerusalem artichokes in your garden? Don’t forget to harvest the delectable tubers before harsh weather sets in. I find the simplest way to keep tubers is not to clean them until I am ready to use them. Just store dirt-coated tubers in a plastic bucket in a cool room until needed. (If you have leftover tubers when spring begins, they can be planted for a new crop.) Where winters are mild, some gardeners leave tubers in the ground and dig them when wanted, but there’s always the risk of discovery by burrowing wildlife. To avoid the autumnal save-the-plants rush, do yourself a favor and bring special plants indoors well ahead of a cold spell. This gives plants a chance to adjust to the indoor temperature change without the shock of suddenly being transferred from near freezing level to warmer indoor temperatures. If you have some plants such as sweet or hot peppers that have been grown in pots and are loaded with fruit, move them to a sunny, but cool, spot inside where you can enjoy your crop as long as the plants bear. Be discriminate. We are all subject to wanting to save plants that are not worth saving. It’s more feasible to let scraggly plants go and start anew with fresh plants in the spring. After all, how many of our plants are collector’s items and irreplaceable? With a greenhouse or other sunny protected area, it is possible to grow an array of salad plants during winter. Fresh loose-leaf lettuce, mustard, green onions, and others are great to have on hand for a delicious salad or to use as garnishes. Where weather is not severe, salad plants grow well in a cold frame protected from the intrusion of nibbling mice. As cold weather progresses, there are a number of chores that relate to the garden. These don’t have to be done outside under unpleasant conditions. Why risk catching a cold, or worse? If you didn’t attend to putting your tools in good shape at the end of the season, now could be a good time to do that. If you have a heated workshop, so much the better. If not, small tools such as trowels, shears, pruners, and the like can be cleaned, oiled, or sharpened indoors wherever you can spread newspapers to catch particles of dirt, etc. Larger items—tillers and shredders—can be serviced when weather is of a comfortable temperature to work outside in a garage or shed. As Jack Frost gives way to Old Man Winter, a lull comes over the outside scene and we are inclined to stay indoors more. This is about the time the first seed and nursery catalogs are mailed out, and we gardeners are the lucky recipients. A pleasant occupation is to sit in a comfortable chair, have a cup of a favorite hot beverage, and dream of a picture-perfect garden for next year. Despite inclement weather, the gardening cycle can begin now when you pick up that first colorful wish book and eventually sort out your order. Many companies offer discounts and bargains, so don’t get caught napping and let a “good-until” date expire. In addition to the tried-and-true varieties, catalogs give us information on lots of newcomer plants. We learn about soil requirements, zone hardiness, need for sun or partial shade, immunity to diseases—in short, everything necessary to grow the plants we may select. With all of this knowledge, how can we miss having a picture-perfect garden? This is where it pays to know facts about the good and bad of your gardening area. Is high heat and humidity a problem? How about certain pests and viruses almost certain to attack a number of plants such as tomatoes and peppers? For instance, if you almost always lose tomato plants because of nematodes, look for varieties that carry the letter “N” in their descriptions. Find the terminology chart for tomato varieties usually given at the first of the listings. This chart will help avoid some pitfalls where diseases and pests are concerned. Beware of varieties that do not specifically list being resistant to a disease that is a problem in your area. Of course, one can always wait until spring when young plants are available from garden suppliers. The problem is that suppliers often tend to carry only the most popular varieties. Take tomatoes, for instance. Big Boy Hybrid, Celebrity, and Homestead plants are usually available, but try finding Thessaloniki, German Head, or Mortgage Lifter. If you want to raise these tasty prolific varieties, you’ll probably have to start your own plants from seed ordered from a catalog. In addition to the medium and large tomatoes, there are the delicious cherry-type tomatoes that some of us like to enjoy fresh from the vine while working in our gardens. Sweet Million and Gardener’s Delight both have great flavor, but plants may be hard to find on the market. A relative newcomer to our garden is Juliet Hybrid. This one bears elongated, full-flavored fruit weighing about an ounce or two and will produce until autumn’s cool weather comes along. There are lots of others in the cherry tomato class ranging in color from white to deep red, so have fun exploring the various types. You’re bound to find a favorite. If there are children in your family, include them in your catalog searches. There’s nothing like the appealing photos of plants at their best. Depending on the ages of children, this might be a good time to touch on the subject of hardiness zones and climate. Some plants have been developed to grow under hot humid conditions, but won’t do as well in cooler areas and vice versa. Keep kids in mind when making out your order(s) and include some seeds just for them. They’ll be as interested as you are when you check incoming packages to see that proper items have been received. While winter is throwing its last frosty punches, enjoy the progress seedlings are making indoors. This transformation from seed to plants and eventually to maturity outdoors can be a learning tool for youngsters. In watching the plants grow, they become aware of the phases of plant life and, who knows, maybe a spark of interest in gardening will be ignited. There are no age limits on gardeners. Give children their own space in the garden. Let the experience include everything from tilling the soil, planting seeds or transplants, to putting up simple string trellises for runner beans, cucumbers, etc. If there’s an interest in flowers, let the young gardeners plant some bright annuals such as marigolds, petunias, nasturtiums. The list is endless. Just as with adults, there’s something special about one’s own garden where the selection of plants is yours. 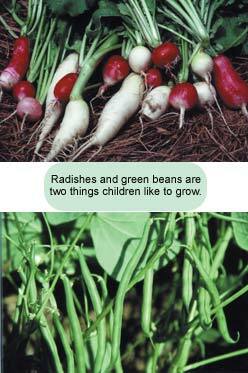 For children, stick to easily grown vegetables that they like to eat. Even though broccoli is an interesting plant and full of vitamins, don’t insist on kids growing it if they hate it. Grow broccoli in your own part of the garden. Springtime brings on a flurry of activity. If you have a new garden spot and aren’t sure about the pH of your soil, this is a good time to have the soil tested. (There’s no harm in having any garden soil tested, as you will find out if, over time, your garden has somehow changed its pH.) A soil test is usually free of charge when done by your County Extension Service. Just contact that office and get instructions as to amount of soil required and when to take it to the office. In the case of large gardens, soil from several spots may be needed. Depending on location, some soils tend to be more acid than others and need lime. Others may be on the alkaline side, so it’s worthwhile to find out all you can about your soil. Once you get soil pH in balance, you’ll find that you can grow a host of vegetables. 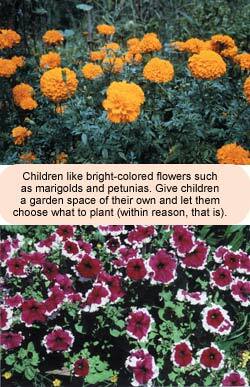 While you’re visiting your Extension Service office, check out their pamphlets on other aspects of gardening. There’s a wealth of information to be had and the good part is that it’s free. So, we come to the real beginning of another growing season. Anyone who had to give up on last year’s garden can now proceed with present plans knowing the off-season time was well spent. Compost is available. Garden soil is in good shape. Tools and equipment are ready to use, and young plants can now begin the hardening off process. This simply means exposing them to outside conditions by putting trays of plants outdoors in protected spots each day where they will have the benefit of sunlight and open air. In order to avoid tender leaves getting sun scald, time outside should be an hour or so for the first few days, gradually increasing exposure time to all day. When weather is favorable, plants will be strong and ready to go into their permanent spots in the garden. The arrival of spring gives a gardener new hope. It’s a new beginning, and last year’s frustrations and failures begin to fade from memory. This will be the “Year of the Bountiful Garden”—lots of green salads, perfect potatoes, delicious sweet corn, pots of sweet green peas, plump tomatoes, buckets of peppers and eggplants —you name it. Be thankful you can till your own space again. If there’s a young newcomer with you, share your enthusiasm. There’s no better place than a garden to learn about Mother Nature and the goodness of the earth. 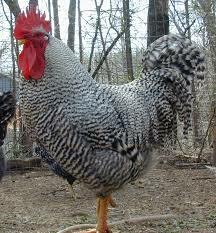 Don’t like the idea of corn and soy feed for your chickens? Try this easy fodder system. Start with eight five gallon buckets. Drill small holes in seven of them. This will allow water drain from the bucket, and the final bucket is for soaking seeds in. 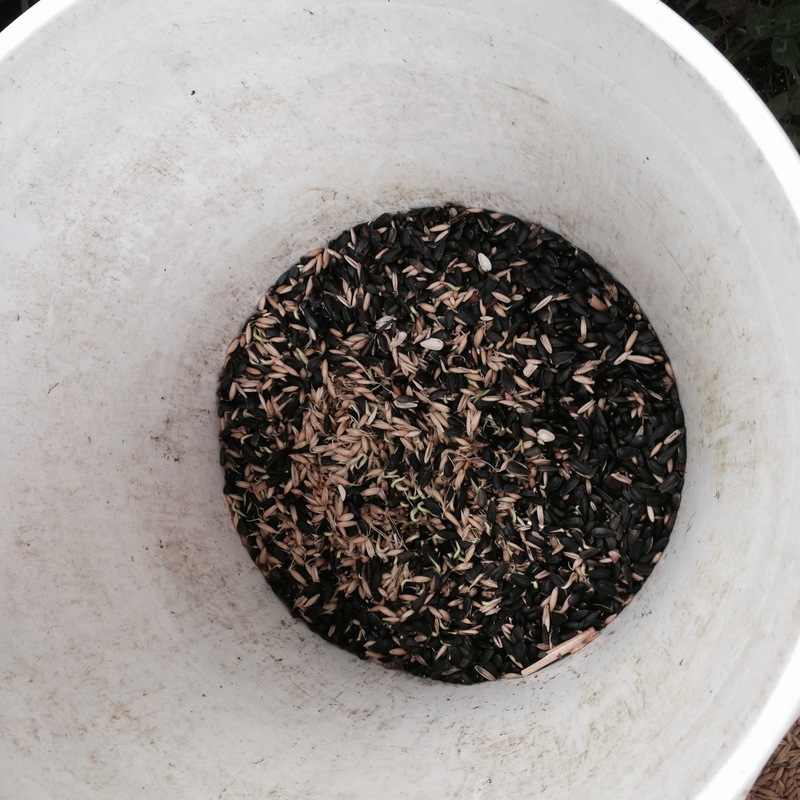 I sprout a mixture of black sunflower and oat seeds. Both I can buy at my local feed store. Soak seeds in a bucket overnight. The next day I pour the soaked seeds in the bucket marked 1, (I number the buckets 1-7). Repeat daily. Here is a picture of seeds soaking. 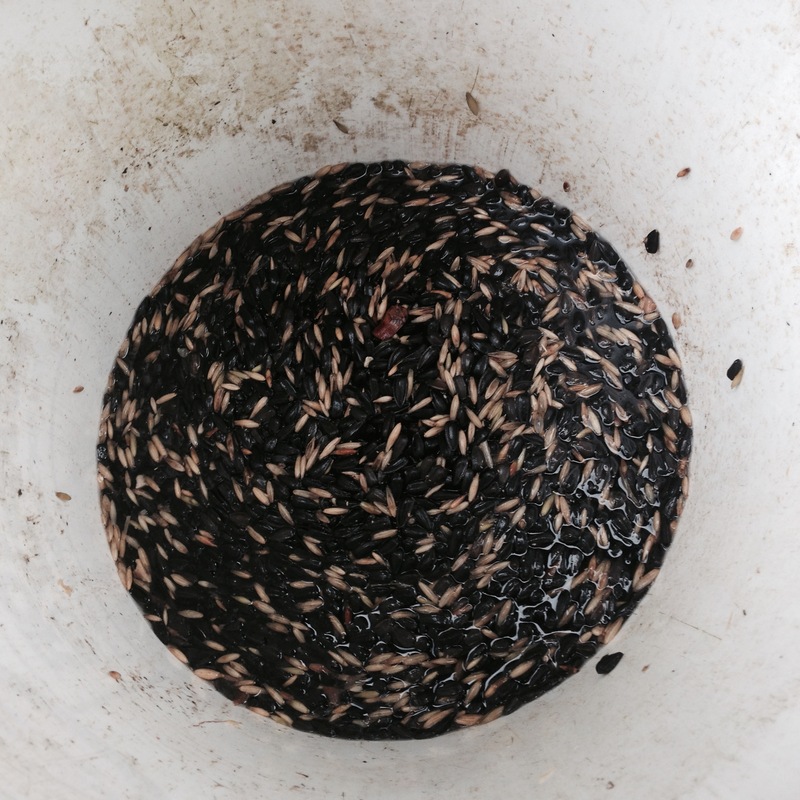 A picture of seeds in the bucket. Here is a video that I learned how to do this. We had a close call here this week with our chickens. We had a predator raccoon I think try to take a swipe at our chickens. In my chicken tractors I have poultry netting along the bottom of the tractors for extra protection. Good thing I did because the raccoon only succeeded to make a small hole in the netting. It also managed to get only a few feathers. The rooster also finally came in handy this week. He came to the rescue.. I heard him making lots of noise, and he had a little blood on his spurs. Super chicken to the rescue. This went on for two nights. Other than the lose of sleep we lost no chickens. I decided to move the enclosure closer to where my Great Pyrenees is. No more late night visits from our unwelcome guest. This goes to remind us all that the work is really never done. I was expecting some injuries but none were found. At most maybe only one egg was lost. I can handle that. I just glad everything turned out well. Planting cover crops to build soil fertility will benefit any garden, big or small. Each season seeds are sowed and the plants are watered and taken care of with the eventual goal to harvest and eat. The soil is what gives the plants the necessary nutrients to grow strong, fight off pests and disease, and produce the best flavored, most nutrient-dense food possible and it requires those nutrients to be given back. Cover crops will give back to the soil. Some cover crops are capable of adding nitrogen to the soil while others are intended to add a great deal of biomass to the soil; some do both and all of them will help prevent well-built and well-earned soil from eroding. Here we’ll go over the benefits some cover crops provide and give a brief explanation on how and when to plant them. Cover crops are also referred to as ‘green manure’. At Mad Love Organix we do not have access to manure. We do compost but compost only goes so far. So we stretch out the compost and plant cover crops. The main goal in planting cover crops is to get massive growth in a minimal timeframe when or wherever land is not being used. 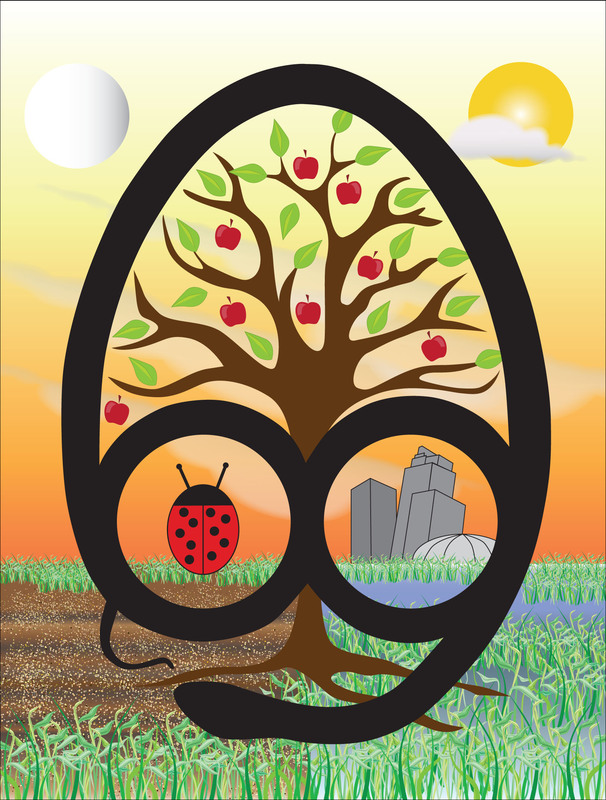 Rather than having nutrients leach out, nutrients will be stored and preserved and healthy, strong soil will be built. According to How to Grow Vegetables and Fruits by the Organic Methodwritten by J.I. Rodale, both the plant being grown to harvest and the cover crop should be grown in one season. The cover crops can be grown either before or after the harvest crop. This goes back to taking from the soil then giving back. Or as Rodale points out, giving to the soil then taking the harvest. Either way, the cycle will continue. Legumes, alfalfa, and clover are known for their nitrogen-fixing capabilities. They’re also some of the cover crops I’m most familiar with seeing in Pennsylvania. They possess this magical ability to take nitrogen out of the air with their leaves and transfer it back into the soil with their roots. They also add organic matter to the soil. According to the Encyclopedia of Gardening by the American Horticultural Society, the amount of organic matter these plants can add may add as much nitrogen as a regular feeding schedule. Due to its low carbon-to-nitrogen ratios, the organic matter breaks down fast making the nitrogen quickly available. Winter rye is a great cover crop to plant in order to add a lot of biomass to the soil the following season. It’s especially great here in the northeast because it protects the soil from eroding over the winter. To get the full benefit of rye it must be planted before September 15th, according to Rodale in his book. If planted after that it will result in too limited of growth to be of benefit. Last winter our winter rye was less than 12-inches in height. After a few warm days in March and April it sprouted to more than double that. I used a hoe to chop the majority of the plant off the base of the stem, listening to and enjoying the sounds similar to popcorn popping on a stove top. There was so much biomass I had to carry most of it to the compost heap before turning the remaining – and much shorter – winter rye into the soil. One other cover crop I enjoy growing is buckwheat. Last year a plot of blossoming buckwheat saved some potted golden berries from Colorado potato beetles. But that was just an added benefit. The main benefit of planting buckwheat as a cover crop is its good for “re-building poor soils or restoring acidic soils,” according to Rodale in his book. It also attracts a lot of bees. Cover crops are thrown over the soil, lightly raked in, and watered, but the art of planting cover crops lies in the timing. Other than wanting cover crops to grow massively tall in a short amount of time, cover crops also need to be turned into the soil at the right time. This will maximize the nutrients availability to the plants being grown next. They can also be planted during the growing season by planting them in-between the rows right before harvesting time. Or planted in early summer and allowed to grow then be turned into the soil just in time for a fall planting. Or if the garden is real big, half of it can have cover crops growing for a full season to build soil fertility while the other half is used for heavy vegetable production, and vice versa the following year. 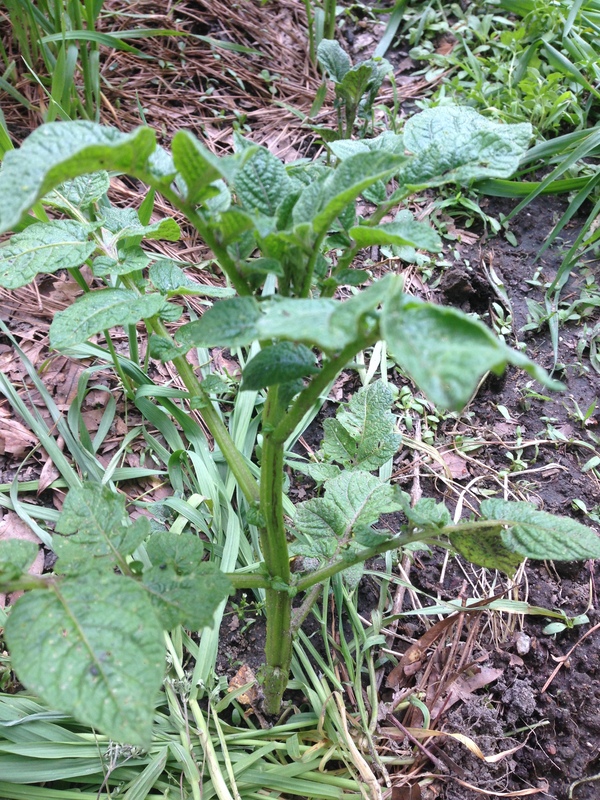 I have potatoes and tomatoes coming along nicely. Above is one of my tomatoes. I use no fertilizers or pesticides. I did start it from seed in organic potting soil. I transplanted it into a Hugel bed I built in the fall. I have five plants in the bed as of now, but I will soon transplant the remaing plants that aren’t quit big enough. I have Romo and Better Boy tomatoes. Sauces to follow. I planted about 20 seed potatoes a few weeks ago. As with the tomatoes no chemicals were used in the making of these plants 😉 These are Yukon Gold. Please comment and thanks for reading. Entrepreneurship is the gateway to Personal freedom. 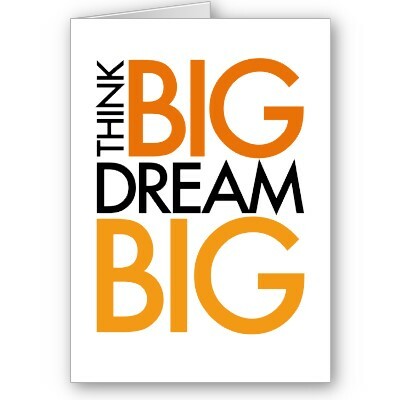 If you are not working for dreams you are working to make someone else dream come true. I am a son of an Entrepreneur my dad has had many business ventures. Some good some no so good. Until the day he retired he still had a part time business. I have tried to come up with something to make a little side business from home. I have finally decided on a backyard nursery to sell fruit trees that I propagate. I have grown very fond of propagating trees, bushes and such. I still will work my day job, but this is something that I can put some time into in the afternoon and weekends. I’ll get the plants started and maybe let my wife take care the selling of the plants during the day. Working for yourself is not easy, but you can make your own destiny. You are in charge of your life. You got to hustle. The more effort you put in the more you get out. It can be done what ever you have a passion for can become your future. It’s not an overnight thing though. Success takes time. How much time. Depends. Everyone is different, but the more you put into your business the quicker success will happen. What will be my major obstacle? Sales. I’m no where near as good at talking to people as my dad is. My dad can talk to people all day and he would be very happy. Maybe it’s the computer person in me, but I don’t talk to folks like he can. The good new is it’s a skill that can be learned. I remember my dad telling people all the time how he started his first business with $500. It’s still in open today. He always talked about his business. He was proud of them. It’s much harder than most people who never had their own business can imagine. Sales do not equate into profit always. I just saw a clip from Shark Tank where DDP was proposing transiting his yoga DVDs to app based. He was looking for funding, and they ask him how the business was going so far. He stated that they had sales of $3,000,000, and of that $800,000 was profit that was retained earnings. $3,000,000 translated into only $800,000 earnings for the company, but he did pay himself a very good salary. Retained earnings were used to grow the business. What does this all boil down to? It can be done, but slow and steady wins the race. Be the tortoise not the hare. Please leave a comment and follow me on Twitter, Facebook, and Instagram. Feel free to email me chris at freedomfarmtv dot com. It’s Spring time. Spring Fruit tree tips.